THE PIB AND YOU: MAKE YOUR VOICE COUNT! The petroleum minister, Honorable Mrs. Diezani Allison Madueke set up a committee on January 17, 2012, to review the Petroleum Industry Bill (PIB), towards accelerating its passage before the National Assembly. On June 29, 2012, the petroleum minister announced that a revised draft was ready, and has been forwarded to the president, Goodluck Ebele Jonathan for consideration. Since its introduction over 4 years ago, the PIB continues to face persistent setbacks to its passage despite the Bill’s enormous prospects for improving the technical, operational and regulatory efficiency in Nigeria’s oil industry operations, and through enhanced efficiency expected to reduce oil waste, corruption and environmental degradation. In addition, the new regulatory ethics offers systems and mechanisms that balance a wide variety of technological, economic, political and social interests with the goal of maintaining a forward-looking and broad-based environmental polity. SPACES FOR CHANGE recognizes the passage of the PIB as a catalyst for the entrenchment of probity, transparency and accountability in the Nigerian oil industry. To depart from the previous non-participatory strategies employed in 2009 that forced popular resistance to the draft Bill, SPACES FOR CHANGE is convening an E-Conference to expand the spaces for citizen engagement around critical provisions of the revised Bill. The e-conference promises to unite industry experts with ordinary citizens, especially young people, to debate, learn and benefit from robust analysis of the Bill, as part of a broader strategy to ensure that the voices, concerns, priorities and perspectives of all Nigerians, including women, the youth, oil bearing communitiesand critical stakeholders are reflected in the final document. BE HEARD#… MAKE YOUR VOICE COUNT! We happily present to you the queries about the PIB sent in by Nigerians from different parts of the world. Questions, commentaries, and analytical papers are still being collated. Send in yours today! To submit, send an e-mail to [email protected], or click HERE! Ndubuisi Victor Ogwuda: Do the fiscal terms guarantee a reasonable return on investments, to IOCs, and a fair share to the state — resource holders? What mechanisms will ensure the community funds to be held in trust don’t disappear without a trace and condign punishment? Is there a blueprint, in the works, for how to transform NNPC from an opaque behemoth to a world class NOC in the mould of Petronas, Petrobras, & Statoil; to make it a self-financing, self-governing, and commercial entity? Mike Tunde Hubscrown Adewumi I will like to know how the new PIB affects those who have small businesses that depends on petroleum and how the price affects their businesses. Consumer Rights groups too. How will the PIB inject transparency and openness in the NNPC. I still can’t wrap my head around NNPC operating Foreign Crude Oil Account outside the country by JP Morgan which the country has no idea how much was stashed away there. Ibrahim K. Oyekanmi My concerns are on the environmental issues that are involved in exploitation/exploration activities. Any gain we envision will be nullified by environmental disasters if proper safeguards are not put in place to ensure the extraction activities are carried out with utmost respect for the environment. Then, this is an industry that requires a highly skilled workforce. Are there enough plans to ensure the policy facilitates the establishment and proper funding of world-class training and research institutes to produce the required workforce from the local base. If we’d still depend on expatriate experts to man sensitive aspects of the industry, the nation can never expect all accruable gains from the sector to ever come to our nation. Any expatriate’s loyalty is firstly to his country of origin and no matter any claim to unbiased professionalism, that lack of a patriotic stake in the industry will still be an avenue that can be unduly exploited by multinationals and ever countries whose nationals are employed. That is not to talk of the need to use the sector to mop up some of the human resources that lay waste across the nation. Tunde Akogun If the bill aims to make the petroleum sector function in a transparent manner, will it take take care of the issue of thief and metering of oil production?Will the much touted bill make the retrograde NNPC to operate efficiently and profitably like Petrobras of Brazil and other reputable oil corporations? Ibrahim K. Oyekanmi And coming to financial issues, are there direct intervention clauses to ensure a FIXED quota of the income from the industry goes to clearly defined projects? Then, i’d add what are the concrete provisions to take care of the security situation in most of the producing regions? And what assurances are there to ensure ALL agreements entered into are made with NATIONAL INTERESTS being the core focus of the agreements? Tunde Akogun So, what happens to the Nigerian Extractive Industry Transparency Initiative (NEITI)? Will it be scrapped? 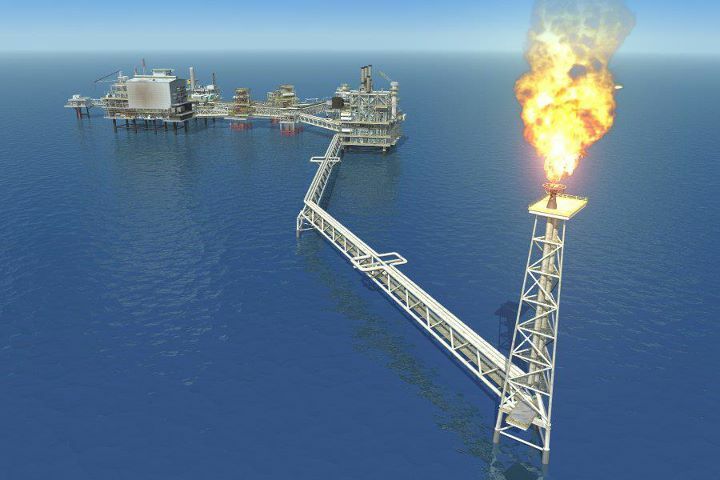 Chinedu Chiefsan Akwuobi: However, if I am more concerned with gas flaring in the oil industry. Between 1976 to 2011, its estimated that Nigeria has lost about $84.5 billion from gas flaring. That’s one third of our GDP or $2.5 billion per year. I am more concerned with gas flaring in the oil industry. Between 1976 to 2011, its estimated that Nigeria has lost about $84.5 billion from gas flaring. That’s one third of our GDP or $2.5 billion per year. This is worrisome knowing that Nigeria stands to gain more via developing the gas subsector of the oil industry when you consider our huge gas reserves. How will the bill address this challenge? will the PIB impose taxes, fines and penalties on companies that flare gases? If that’s the case, how are the proceeds of the taxes, fines and penalties be effectively utilized? Also how does the PIB aim to close the gap between the oil sector and the energy sector to make for better synergy towards addressing Nigeria’s energy challenges? Sam Kunle Oyelude Are there plans in the offing to improve local content utilization as well as either improve on our refineries/build new ones? Chukwudumebi Norbert ‎’Little business owners’ like barbers and taxi drivers should be involved: they are some of those who feel or would feel MORE,the impact of any petro-related laws.I equally suggest that we could get some of the ”religious” leaders here, because of their ideal role in the citizens lives. Victor Ajayi It has become common practice for the operators in connivance with some unscrupulous government officials to circumvent their fiscal responsibilities. Huge amount of money is lost to this criminal act of tax evasion and the failure to properly remit necessary tax due to the government. What stringent measure is being put in place through the PIB to strengthen the national fiscal discipline so as to plug the hole of economic sabotage caused by these firms? This should also include the worrisome graft that has incarcerated the oil sector and Ministry. Moreso, PTDF through its mandate has trained quite a number of world class Nigerians with various post graduate degrees in Oil & Gas engineering , Petroleum engineering, engineering, Subsea Engineering, Energy Economics etc. It’s so pathetic that some of these scholars end up being sales boy in Tesco, Sainsbury, Care Home spread across the UK. This is an arrant waste of human resources! Given the financial resource expended on these scholars by PTDF and the knowledge & skill acquired which is equally competitive with these foreign workers, I reckon there should be a platform by which government through quota system can absorb them into our expatriate- dominated Nigerian oil sector to avoid frittering away of best brains. Ikenna Iheanacho My questions are: What potential does the PIB bill hold for local indigenous refineries? What measures are in place to ensure the PIB bill provides food, security, energy and power so as to enhance the Niger delta development and living standard amongst Nigerians? Chike Okonkwo The main issue in the PIB is the powers of the minister. The original bill watered down the powers of the minister,while the present one gave the minister back its powers. Why the powers of the minister was watered down was to insulate the industry from politics,but it seems that it has been over ruled.Also,the oil industry was meant to have a strong regulator,like NCC,NERC etc. Lastly, I am concerned about the gas flaring. Kuti Sofumade The Federal Government has to, for the first time, harangue the bull by its horns. More stringent measures and actions…especially in terms of regulation and enforcement should be courted in ensuring multinationals operating in our country don’t bake their cakes and eat it. British Petroleum, for instance, had to elect their first American Chief Executive in the whole of their history to placate the Americans at the dawn of the unprecedented Transocean manned BP rig explosion…and resultant oil spillage. Not to mention the USD20bn that BP was forced to set aside by Congress as contingency bullion. Yet, a grander, more appalling spillage by Chevron-Texaco is being caressed with kids gloves in Nigeria. Secondly, the Petroleum Technology Institute in Effurun is not enough to equip Nigerian local content for a 21st century petroleum related technology and know-how transfer and teaching…considering that we have comatose faculties in our universities hilariously pretending to be minting ‘quality’ geologists, geophysicists, petroleum and chemical engineers etc…who at best are only familiar with 70s and 80s theoretical ‘nonsense’. Instead of the conventional apolitical geo-political zoning scheme of doing things…nominate a few forward leaning Universities offering courses and having faculties relevant to the Oil Industry…say 10 of them, and do an assisted program jointly piloted by NNPC and the multinationals in a Joint-Venture kind of way…and turn such faculties to mega Petroleum Institutes where technological transfer would not only be touted as occurring…but seen and felt in a calibrated and measurable manner. Thirdly, marginal fields sale (to), prospecting and exploration (by) most especially indigenous companies should be encouraged…as we concentrate our efforts and gaze on the high-volume, high-yield blocs…we should not totally abandon or dilapidate marginal fields which also are formidable oil properties in their own rights. Nigeria, sadly, may not produce an indigenous twin brother to the ubiquitous Royal Dutch Shell…even in the next 50years, making an horrendous tale of a wife (Nigerian Leadership) hiring a five star chef (oil multinationals) to cook for her home (Nigeria) for 100years…but we can at least albeit painfully so, be seen as encouraging locally bred entrepreneurs to steer the oil industry in the positively constructive direction it ought to go. Kuti Sofumade: Honestly speaking, we didn’t do well as a people and a nation. How come Shell, Gulf Oil (Chevron), Agip, Mobil et al stayed for almost 5 decades before we could have Sahara, OANDO and Conoil? Even though, Oando and Conoil morphed from already existing multinationals. If by 2021, which marks 2 decades of GSM telephone operation in Nigeria, we don’t have as many Globacom as Etisalat, Econet Wireless, MTN…then we have thoroughly failed once again as a Nation. Oil property and infrastructure and telecommunication are supposed to be treated as industries having National Security dimensions and proportions…Multinationals are a myth. Ask CHINA and RUSSIA….ask even the United States, father of harsh protectionism usually clothed in subtle diplomatic national security fabric. What will be the role of one of the unbundled companies focused on HOST COMMUNITY? What is the operational definition of ”host community”? Will ”oil-bearing” and ”oil-producing” be inclusive of communities through which pipelines travel even outside the Niger Delta region? We have taken note of your question. It has been included in our new Q & A on the PIB that will be released soon. You will be copied.